This rug started off as a pile of scraps given to me by my mother last year, and is now the second rug like this I've done. I'm hoping it will be a useful rug for Thomas. I really enjoy making these rugs. The material is not expensive, you can pick it up at op shops or find it in your own craft cupboard, and it's satisfying to turn balls of left over yarn into something that can actually be used. 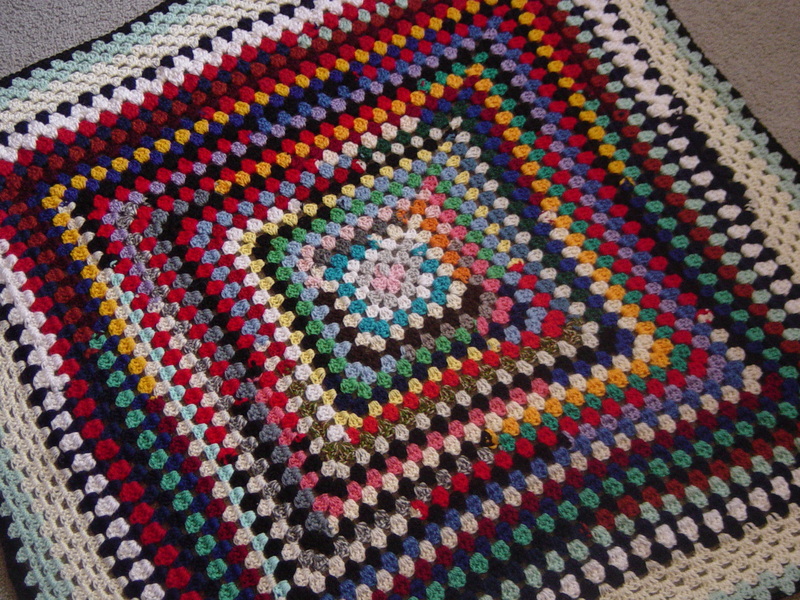 I enjoyed making the first one so much I called it a 'therapy rug'! There's no pattern to the colours, the only rule is whenever I change yarn it's a different colour to the last. It's therapeutic because there is no stress at all about the design, it just comes down to a decision at the moment it's time to pick a new colour. And the idea of these rugs is to use up all of that left over yarn, that's why there are not finished rows, rather they run into each other like spirals until the yarn runs out. Then I choose a contrasting colour to continue. This way there are no little bits left over at all. That's why this is much better than making a rug out of small granny squares sewn together. And I find sewing all those squares together at the end very tedious! For this rug, I used a 4.5mm hook, so not too small so it doesn't take too long. 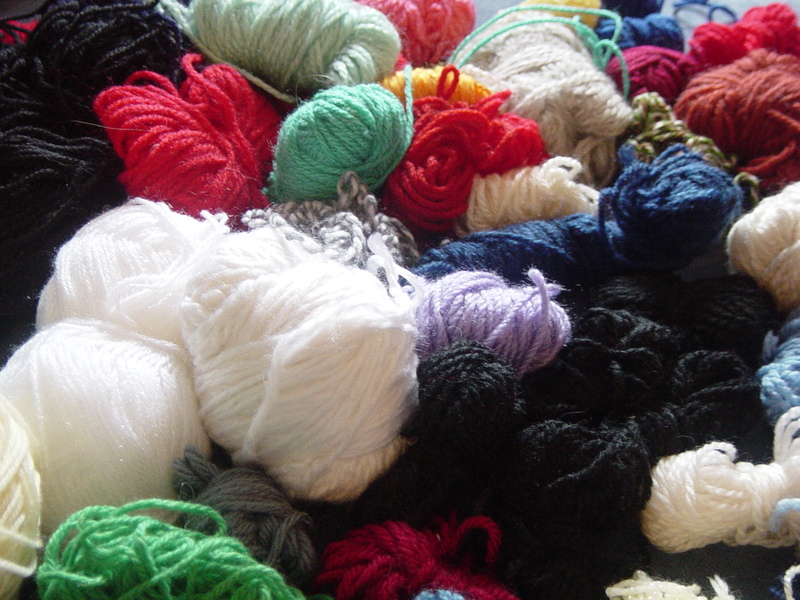 The first thing to do is sort the balls of left over yarn according to size. The very smallest ball of yarn is the one you want to start with, next choose a contrasting colour that looks to be amongst the smallest of the balls left. I've even resorting to weighing the balls on a small kitchen scale! This way you get the spiral effect. I'm rather proud how this one turned out, the pattern is quite nice considering there was little planning in it. It's good to know I have something useful to do with all those annoying left over balls of yarn!